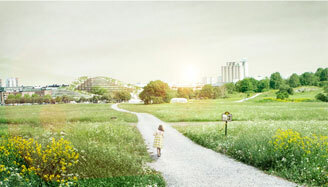 Changdobels is located in Täby, Danderyd, Hundiversum, Vallentuna and soon we open in gärdet in Stockholm, Sweden. In addition to dog hotel (dog pension / dog sitters / dog boarding / dog walkers) in Täby, we offer dog courses and dog day care centers on 4 other locations. Welcome to stay with us. Here your dog will have it's own room and a big loaf of company and love! On our Dog Day Care centers you get company, play and lovely walks in the green! We offer fun and instructive dog courses for beginners and veterans! Let us take care of your dog. Here we offer dog care like cut, trim, bath and massage! 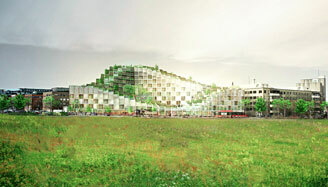 Changdobels dog center offers one of Sweden's finest dog day care and dog pension/hotel. Our ambition is to have everything for your dog in one place. Therefore, we are pleased to announce that we also offer dog trim, dog cut, dog courses and dog massage. This service can also have your "furlings" while staying at the dog hotel. You can feel confident that your dog is good no matter what day the dog is on. We always maintain the same high standard and quality in our facilities. Changdobels is open every day all year, so you can always count on us! With our various facilities, a wide range of services are offered, and we tailor a layout that suits you and your dog the best. The dogs that are already in our small family also receive a discounts on other facilities. For us it is extremely important that the staff are not overloaded - they should always have time for your dog. Therefore, we have expanded our staff so that all dogs receive continuous attention when we believe that social contact creates stimulus. Because dogs feel sensual, it's important that it's a pleasant and happy atmosphere even among us who work. Therefore, we look forward to hiring people who not only like dogs, but also their colleagues. Everything to create the best possible environment for your dog! Changdobels has made a big effort on nice premises and big dog gardens. For us, it's nothing more important than being clean, fresh and homely, and we are therefore renovating all the facilities to make your dog happy with us. In addition to long walks, dogs often have to run out on a regular basis, so we have built large dog gardens in all our facilities where they can play whenever they want! In the summer of 2011, Wiweka Nerep was disappointed. Changdobels did not want to receive her dogs for Christmas. The owner family would "finally" retire. The dog boarding would be sold. Problem or opportunity? Is the glass half empty or half full? Halfway, it would turn out, for Wiweka was willing to buy Changdobels on a condition: Can she find the right person to lead and run the the dog boarding? Here Erik Sjöholm arrives in the picture. Wiweka and Eric had come to know each other via Wiweka's daughter Andrea. Erik is full of energy, creativity, has a social eagerness and a big heart for dogs. The right man to drive Changdobels thought Wiweka. It also meant Erik and younger brother Philip wanted to be in the beginning. Wiweka bought Changdobels and together they took over the dog boarding with Erik Sjöholm as manager. Five years have passed. The buildings are renovated, the rooms are welcoming and practical. Erik has created a unique online booking system for the special needs of the dog hotel and do day care centers. Homepage 2.0 is now launched. Guests can get "hair and nails" fixed in the newly created fitness room. Changdobels arranges the veterinarian, retrieves and leaves if desired to make it easy for matrices / households in the daily stress. Dog courses are offered. Erik has been able to open two dog day care centers in Danderyd and the latest in Vallentuna. One way for our dog owners to "vote with their feet". The love and consideration given to our best friends at Changdobels is appreciated. Younger and elderly in the staff are united by the feeling of the dog and the well-being it brings. Is the glass full now? Do you ask Erik and Wiweka Nerep to be surprised how much a glass can hold? Let your dog stay with staff in home enviroment! In addition to dog hotel and dog day care center, Changdobels also offers dog care and dog courses. If you want, you can take the opportunity of getting your dog trained, trimmed or bathed when living with us. Changdobels offers a variety of dog courses for those who want a better interaction with your dog, while having fun together and learning useful and useful things. Just like us humans, our four-legged friends suffer from tension and muscle aches. At Changdobels we offer dog massage by trained masseurs. 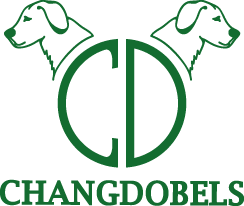 Changdobels offers clips and trimming of various dog breeds and also shredding of jack russel terriers. We always discuss with dogkeepers before to provide the best results. We recommend a dog bath at Changdobels warmly for those who can not have the drain filled with dog hair or wrestle with a dyed dog trying to escape from the water. We at Changdobels often cut the claws of our little guests. The dogs know when there is someone who has great habits and therefore becomes calm in our hands. Is your dog hairy or jumps and hides as soon as you get a come? Or would you like to spend your time together for more fun things? We will be happy to assist you. "He really likes Changdobels (and especially thanks to those who take him out and run). I always meet with a happy and friendly dog and staff and a quiet environment. Changdobels really is a top dog day care center!" "I have relied on Changdobel's dog hotel and dog care center for well over 5 years and highly recommend this dog hotel"
"Elis and I are very pleased"
We are very pleased! Nice and professional staff and an added plus is that we can add dog claw cutting, "dog spa treatment" etc. Do you want to work at Changdobels dog hotel and daycare centers? Make your application right here on the web. Har du något av följande?